Granted, my office is constantly visited by those who seek match-making, or relationship verification via the planets. Most of us want intimacy; to have someone to share our lives with. Yes, the #1 question I get is about a person’s “love life.” #2 is usually about their life direction. Most people don’t know how to read astrology’s complexities and it’s only natural that they seek information from professional astrologers. Many astrologers make millions of dollars on the Internet doing the most basic of match-making, comparing one Sun sign to another. Much good information is out there. If people really knew how complex is it to compare one person’s chart to their partner’s chart, they’d be very surprised. Most people default to asking about Sun-sign matching, because that’s all they know. But the truth derived from such a comparison is weak at best. Why? – because, there is so much more in your individuated natal chart. Your Moon (emotions), Venus (how receptive you are to love), Mars (your desire for love), etc. I can’t begin to tell you how many thousands of times I hear, “I’m an Aries; I’m supposed to be good with a Leo?” While Sun-sign matching is generically valid, many more factors have to come into the picture for an accurate assessment to be done. Astrology provides us with two main ways of studying a relationship. And this does not have to be between two humans either; you can compare your chart to your business; to your pets; to your country, etc. The first way is simply to compare the position of your planets and other significant markers in your chart to the other person’s. This is called doing “chart synastry.” My Sun might be in “good” geometrical relationship with your Sun; that’s usually very good. The placement of my Moon compared to the others’ is very critical since the Moon placement has much to do with getting your needs met and shows basically what you are comfortable with. After a lengthy study, the astrologer gets a very clear picture via synastry, by comparing most or all of the critical astrological points. This can clearly tell the astrologer how you affect the other person and vice versa. It can be uncannily accurate and telling. By doing this, you can see how John Lennon and Paul McCartney didn’t always get along as great buddies, but also how they affected each other to a fine degree. The other method is done with a “composite chart.” A composite chart is derived by mathematically finding the exact mid-points between all common planets or points. For example, if your Sun is at 10° of Taurus and your partner’s Sun is at 20° of Taurus, your composite chart would display your composite Sun at 15° Taurus; or halfway between. A third chart is constructed displaying these composite or mid-points. We continue on around the chart doing the same thing for all the planets, etc. This used to be done by hand and became quite tedious, now computers do the calculations in a split-second. The resulting composite chart looks very strange and different, but definitely represents a duo’s chart. It shows what the dyad is all about. Now, unlike synastry, a composite chart tells me why you are together; what are your natural strengths and weaknesses, and so on. I have done thousands and thousands of these types of charts and find great elucidation about the couple expressed herein. Their composite chart tells us of the magic that Lennon & McCartney had together, which of course, they never attained separately. Chemistry. The composite chart is so accurate in fact that when the day’s transiting planets line up with points in the composite chart, the relationship will change somewhat. For instance, using our Taurus example above, if there is a Lunar Eclipse tonight at 15° Taurus, right on the composite Sun, (or exactly halfway between the two natal Suns) the relationship will go through significant new insights (from the eclipse’s light) about the couple. It becomes much more complex than what can be expressed in a simple newsletter; but you get the point. HERE’S THE CATCH: Analyzing how each chart affects the other (synastry) and what is the true nature of the pairing (composite) does not tell us anything about each person’s ability to have a relationship in the first place. If you and your partner have great chemistry, indicated by either the synastry or composite chart; that does NOT necessarily mean that you will have a great relationship! It will help however. In the 1970’s, the marvelous American astrologer, Stephen Arroyo, was a master at the study of relationships through the astrological model. Yes, he is a natural at it being a Libra Sun sign with a heavy 7th house. But what he brought to the science was priceless. His books specialize on the topic of relationships and he affected greatly how all of astrology has been seen ever since. Not only did he bring Humanistic Astrology (that’s seeing the planets as OURS, inside of us, representing very basic human needs or archetypal values) into the fore, he also was one of the first to point out that even if you have good synastry and even a good composite chart, what is paramount is your actual ability to have a relationship. I cannot tell you how many hundreds of comparison charts I have done, where the pairing of the two looks good, even very good, but he charts still do not alone foretell of a picnic between the two. Each individual has to be able to give and take. Common planetary pictures that suggest emotional blockages are Venus in almost any aspect with Saturn. Venus being the “yin” planet symbolizes how you allow emotions in (or don’t.) It’s not so much that Saturn is cold and mean like the old fear-based books talked about; it’s more that the client is simply being too careful! The heart doesn’t know what “careful” means – a good lesson for all of us to learn! Being too careful usually results in being stuck. Another common red flag in a chart is when the Moon is not well placed or is “troubled” by other planets. This story is far too voluminous to tell here. “When the Moon ain’t happy, ain’t nobody happy!” Not surprisingly, the Moon is naturally paired with the Mother figure. When the Moon is troubled, sometimes the person is simply not happy or comfortable. I believe this goes back to the past life or lack of emotional support at an early age. Other times, Moon-Pluto combinations can indicate karmic problems with being able to relate. Many times this manifests where the mother-daughter relationship just wasn’t healthy. One usurps the other’s energies even to the point of boundary confusion. These have been just a few examples; you really have to have the charts read by a true professional in order to be able to ascertain whether the relationship is on good footing astrologically. A computer program cannot do it and neither can most of the 1-900-online-“astrologers” who are very good at telling you what you want to hear. Chart compatibility is possibly one of the most difficult challenges one faces as a professional astrologer. People want you to tell them what they want to hear. It is not an astrologer’s job, and in fact is unscrupulous, to tell a couple that they have a “bad” relationship or even express doubt. The job of the astrologer is to point out the strengths and possible challenges that the couple may face. Also, the astrologer shouldn’t give the querents a final “report card” on the nature of the relationship. He or she needs to have a healthy “give and take” discussion with the clients to get down to an accurate appraisal. Surprisingly, it’s more common that I find charts of “successful” couples to be more complimentary as opposed to compatible. It’s actually kind of shocking how open most people are in this type of soul-sharing. People want to get past their stuff. One of the surprising things an astrologer can look for is that special “thing” that a couple has. You’ve seen it before. You know; where a couple just doesn’t look like they will make it together; but in fact, they get along famously! One reason it can happen, and one that most astrologers miss, is that one person may have a really nice planet or combination of energies sitting right on the other person’s “trouble spot”! I’ll give you an example: Forgetting now about Sun or Moon signs, let’s say Sara has difficulty with emotional exchanges symbolized in her chart by Venus in the sign of Virgo. Venus in Virgo can be very tricky and very picky in issues of love. But, let’s say she is dating Tom who has his natal Jupiter sitting at a degree of the zodiac close to where her Venus is. For some unknown reason (unknown to non-astrologers,) she’ll simply feel really good around him! She’ll feel like letting her guard down around him and won’t even know why. Many times this is because of a past life relationship the two have had or other significators. It doesn’t matter: Tom makes Sara feel good. Jupiter cheers up her Venus. Astrology is much more major and intimate than you might think! (Next book) On the other hand, I’ve seen this situation in so many chart comparisons: Let’s say your brother-in-law Sam just drives you crazy, and he feels the same way about you. Further analysis might show that his Mars is in Sagittarius (blunt, direct action) and is at a right angle (stressful relationship) to your Mars in Pisces (gentle, thoughtful action). He will irritate you in just about all ways, especially if the degree of difference (orb) is very tight. He will feel like you are weak (Mars in Pisces) and he’ll want to give you a kick in the pants to make you more aggressive. Likewise, you will feel like he is too impulsive and brash. Sagittarius vs. Pisces. The two of you just need to sit on opposite ends of the table and take it easy on the wine. So, we see, astrology tells us a whole lot about ourselves and our relationships. It usually won’t do you much harm to read magazine and Internet articles about relationship and compatibility issues, but do use a great deal of salt when doing so. I HIGHLY caution all of you if you’re about to spend a lot of money on comparative charts. I say this mainly because it’s very hard for an astrologer to give a professional and balanced report and it’s a very easy way for unethical astrologers to make a buck. Another issue must be addressed before we close this topic. Many people will come into your life to steal your energy (or worse.) The fact is, when someone comes to “steal” from you, most of the time it’s an indication that you have called them forth unconsciously due to low self-esteem. Really. And when the esteem problem gets worked out, that just doesn’t happen much anymore. The dynamic changes in your favor from then on. Most people just don’t want to hear that they need to work on themselves more before they can expect a good relationship. Curiously, most folks think that we astrologers can SEE when a relationship is coming. “Is it someone I already know?” Without a doubt, I have seen this over and over and over: when you get your life clear, that’s when a partner is LIKELY to arrive! I’ve even seen it happen the day after a person let’s go of a bad situation in an attempt to take care of themselves. Like I say, the jets can’t land on the aircraft carrier if the deck is crowded with stuff (emotional baggage.) Once the deck is cleared, you are making room for new life to enter; then, it is uncanny how many jets will land and actually land smoothly. This dynamic will be a big part of the subject of our next book, “The Intimate Zodiac”. Also, I hate to tell you this, but this is not the age of Ozzie and Harriet or Leave it to Beaver anymore. The 1950’s paradigm has ended. No longer does evolved man gauge the success of his or her relationship by its longevity. The old “Pluto in Cancer” generation did. They were born in the 20’s and 30’s. Longevity was a good yardstick for Cancer’s need for emotional security. Now, personal growth through relationship is superceding the need for security. But, we have evolved greatly, and we are NOW evolving at an alarmingly fast rate (2012!) In other words, people are sent to you now (in many cases) to bring you your next spiritual lesson! A Pisces commonly comes into your life to bring you Neptune lessons. If you are going through a Neptune transit, the themes of love and compassion are best delivered by another whose Sun-sign is Pisces or a person with strong Neptunian characteristics. It’s VERY common that when you are undergoing a Pluto transit, its lessons come to you via a Scorpio or one strong with Scorpio/Plutonian aspects. This person comes to help you get stronger of maybe to challenge you to your very core. I am not making this up. I see it all the time. You have the willpower to succeed in such situations, however. In these cases, your unconscious mind has become so frustrated trying to get your conscious mind to EXPRESS YOUR OWN PASSIONS… That it will send you someone to force you to face the issues. Yes, our very “death wishes” do accrue and come to pass in weird ways, ways that are evident astrologically. Whether good or bad, the planets just will not support you if you are in a co-dependent relationship. On the other hand, all the planets, yes, even Pluto, will help you greatly if you are trying – making an effort to become whole and express all the varied astrological archetypes within you to make you complete. Planets are not out to get you – they do not make good or bad relationships. We humans are so incredibly hung up upon the words “good” and “bad.” We all know what we’re really doing: we know if we want someone close to us or if we simply don’t trust others. Don’t look to the Internet, match-making astrologers, or psychics to “solve” your love life. What I see every day that really works is simple: Be true to yourself. You will naturally attract compatible matches to yourself. You will naturally repel “baggage” away from you. There’s no secret. Yes, astrology can and will elucidate that special “something” that someone has, and it can help a lot. There is a very appropriate place for astrology. It is a marvelous science/art, but remember: it will not open your heart for you. Unbelievable, Uranus and Pluto will travel in square aspect (right angle) for the NEXT TWO MONTHS within 1°! What this means is that the modern challenge to liberate vs. being dominated by corporate power will continue on up till election-time. No surprise there. You should be feeling a tension that just won’t go away! It’s true; it’s really the tension inside of you of these opposing forces. The true you is trying to get free of any kind of old baggage (Pluto.) It’s not easy; it will get easier; you will get used to it; the sooner you get on with the work, the better. Remember, this aspect will ebb and flow until 2015. This is why the USA and world that you will see in 2015 will be nothing like it was in 2011: for “good” and “bad.” This should come as no surprise. These two powerful planets are serious and require serious action because that’s what you (and our collective soul) is screaming for! 8/1 Full Moon 10°h15’ 11:27p – This Full Moon should be rather uneventful. Thoughts of creativity and group efforts are best addressed during this time. Question how free you are and make the necessary adjustments at this point. 8/8 Mercury goes Direct 10:40p – Don’t get all excited yet, it really takes a few more days before it starts acting like itself again. What a relief! 8/13-17 Moon and Venus take turns opposing Pluto and T-square Uranus in Aries – This is really going to be an emotional time; don’t doubt it. And, it needs to be. All the tension that has been going on with Pluto and Uranus will involve Venus and the Moon for about 5 days. Don’t doubt yourself! If you get moody, allow it! Your emotions may be screaming for release or at least to get out from under another’s heavy weight. AS ALWAYS, be alert NOT TO project all of your problems on to other people. It may very well be a mixture of both. This may require significant adjustments to your “family” life (Moon); ones that you may have been avoiding for a long time. Remember, the T-square is to URANUS IN ARIES. Your planets want YOU to be free now. 8/17 New Moon 25°b08’ 11:54a – Lunation #2 this month. 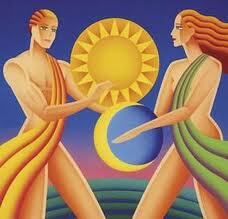 This period will come to a crescendo with the Sun and Moon together in Leo opposing Neptune. Interesting. What this means is that after you’ve had your time at liberating yourself, the energies will shift dramatically toward selflessness (Neptune.) Balancing will be required since the pendulum which swung towards liberating “you” now swings back to consider you plus others. Don’t allow yourself to feel incredibly guilty if you’ve broken your old place where the family may have always kept you pigeonholed. Balancing and compromising is the theme here. 8/21 Mars, Saturn and Moon conjunct in late Libra – This will not be nice. Any way you look at this triad of planets, they add up to what astrology labels as cruel and frustrating. Do what you can to ease yourself through this time. Watch your words very carefully or you may say something you regret. This is like having a wild weekend and reporting back to your Sergeant on Monday morning. It will pass. 8/22 Sun enters Virgo 1:07p – This is always tough, but at least we’ll feel like cleaning. Virgo says, “OK, stop feeling sorry for yourself and get to work fixing your mess!” Don’t you just hate Virgo energy? 8/23 Mars enters Scorpio 1:07p – The pleasantries continue… Mars is very harsh in the sign of Scorpio. So, look at the 22nd through the 23rd as some astringent times. Do not be surprised if someone “gets in your face.” Be prepared for this. The combination of Virgo/Scorpio energy is very demanding. There is no simple way out of this other to summon your courage and form a stiff upper lip. 8/24 Sun opposes Neptune 8:33a – See how the nutty planets work? Now, we go from drill sergeant to dreamland for a few days. Do not fall into this trap. Do not try to escape the tough requirements and realities of the 22nd and 23rd. It will start to soften up on the 24th as the gentle winds of ephemeral Neptune manifest. Funny, you’ll start to see how you need to be rough and tough (Virgo/Scorpio) to counterbalance the Neptune (Pisces) unboundedness. Even the ocean has a hard floor. 8/31 Full Moon – Blue Moon 8°i34’ 9:58a – Finally, it’s Blue Moon time. WOW! Sun/Mercury opposite Neptune/Chiron/Moon in Pisces, ALL T-square to Jupiter in Gemini! A greatly amplified Jupiter in Gemini just might be (of course it is) just what the doctor ordered. This will certainly serve as a great release point as Jupiter in Gemini is simply fun – childlike fun! It’s time to explore and take your mind off of your work or any relationship issues. Go somewhere; do something crazy; try something new; go dancing; do not bungee jump.